Darlene Fairman's practice includes a wide range of civil litigation with emphasis on complex commercial and real estate litigation in New York's state and federal courts. Darlene has also been an active member of Herrick's Art Law Group since 1994. Beginning with the successful representation of the Republic of Turkey in recovering the "Elmali Hoard" of rare and valuable ancient silver coins, Darlene has represented Turkey in matters seeking the return of looted cultural property. In addition, she has represented the heirs of world-renowned Russian artist Kazimir Malevich in their litigation against the City of Amsterdam to reclaim his artworks. This litigation was successfully settled in 2008 when the City of Amsterdam returned five paintings to them. Darlene is actively involved in Holocaust looted art matters, including the ongoing representation of Marei von Saher in her efforts to recover hundreds of Nazi-looted artworks from the collection of her father-in-law, the Dutch art collector and dealer, Jacques Goudstikker. Additionally, she has represented art dealers and galleries in various matters and has successfully represented a jewelry designer in a copyright dispute. Since its inception in 2009, Darlene has been the editor-in-chief of Art & Advocacy, Herrick's art law newsletter. As a result of Darlene’s broad based experience as a real estate litigator, she has been retained by nursing home owners and operators, commercial and affordable housing developers, and the Real Estate Board of New York in connection with a variety of thorny issues including zoning and governmental disputes, challenges to local laws, environmental issues and fraudulent transfers. 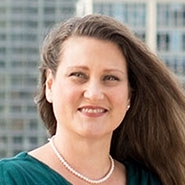 Her complex commercial experience in both State and Federal courts includes a wide variety of matters including breach of contract, business divorce, family and partnership disputes, and economic torts including fraud, breach of fiduciary duty and tortious interference claims. Darlene also has experience with accounting and accountants' malpractice matters. Represented a nursing home owner and operator in numerous business and real estate concerns, both transactional and litigation.